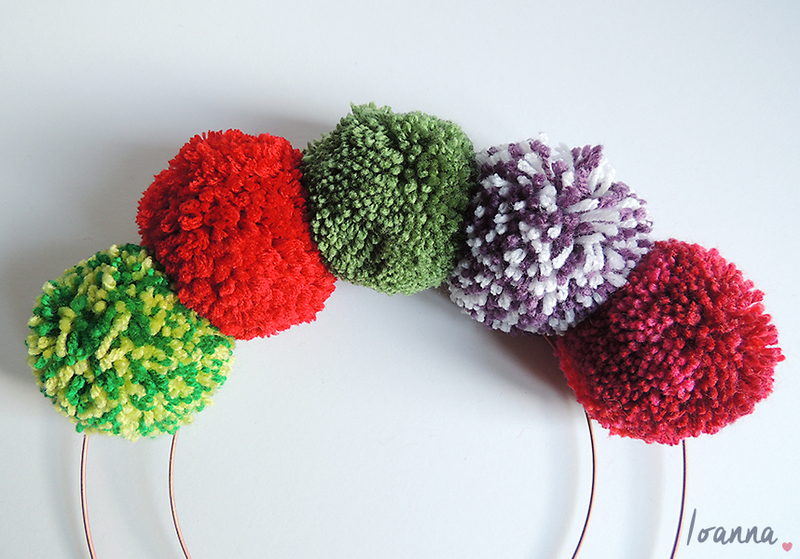 This year has certainly been the year of the pompoms. After starting my pompom rug in March and creating 211!! 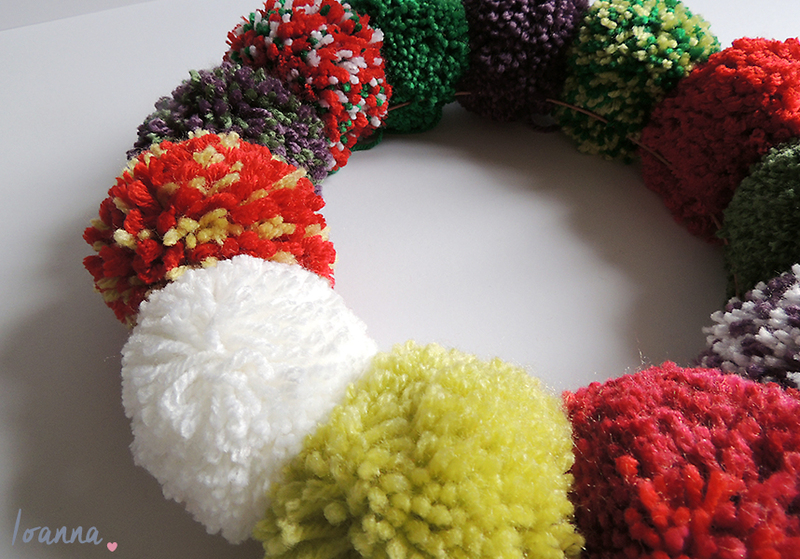 pompoms to finish it in June (image below) I was pompom obsessed making a fair few every day. After completing my rug (which by the way takes pride of place in our bedroom and feels so amazing to walk on in bare feet!) I was left with quite a lot of yarn so I’ve also made a garland for our wall and lots of mini pompoms that have filled a jar. 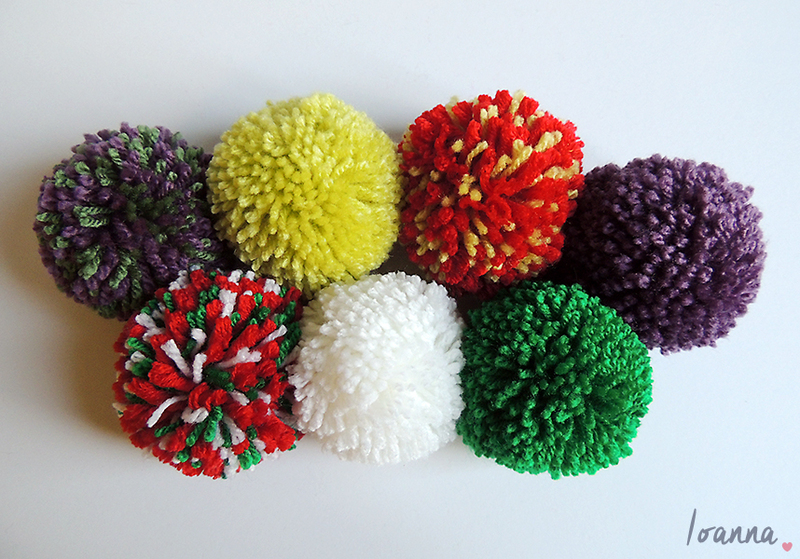 If you’d like to hear about any of my other pompom projects in more detail then please let me know in a comment and I’ll write up a post. 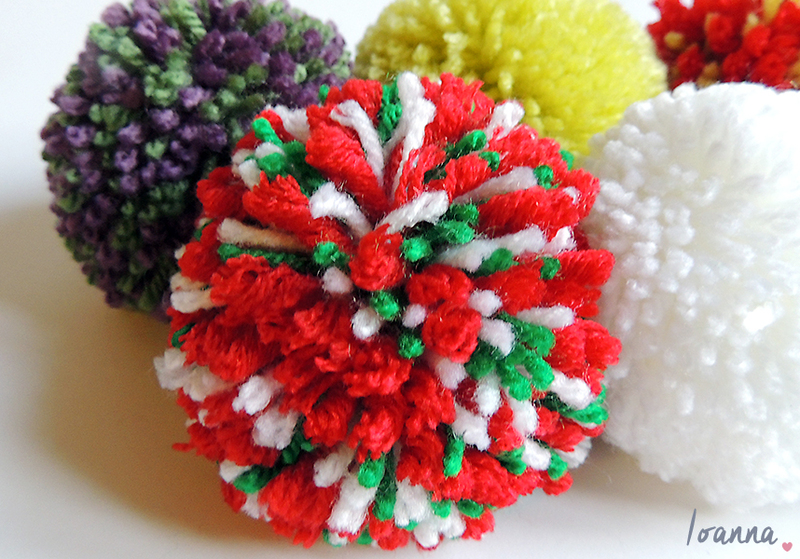 Making pompoms is so much fun, and using a pompom maker makes it super easy and enjoyable. The instructions that came with my pompom maker set were hilarious and made absolutely no sense, but there are lots of YouTube videos out there so I quickly get the hang of how to use one. If you don’t have a pompom maker and would rather use the traditional method of cardboard cut into a doughnut shape then that works perfectly fine too. You might be thinking that it’s a little early for a Christmas related craft project but I like to decorate my home at the beginning of December so will be using the next couple of weeks to create the majority of the projects I have planned. I think Christmas time is the perfect time of year for some craft projects so I’m finding the time to do as many as I can. 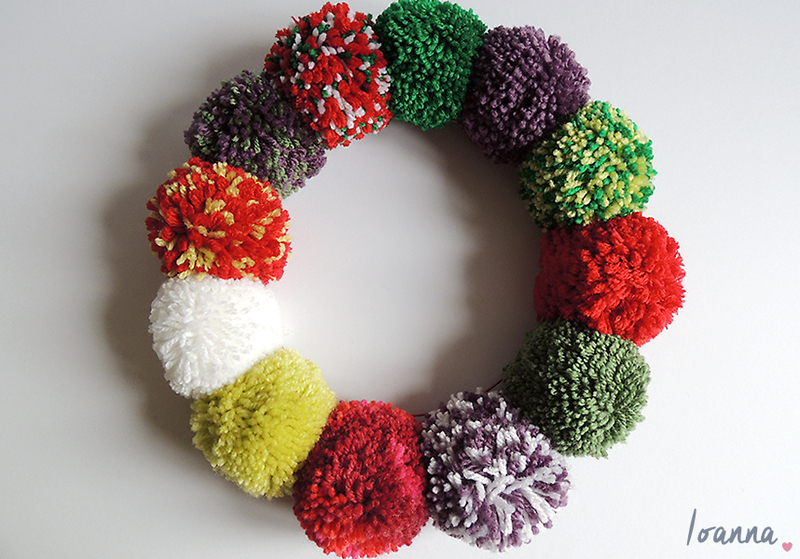 This pompom wreath was very easy to make, I already had some leftover yarn in Christmassy colours but I picked up a few more from Wilkos and my local pound stores. I have used cheap yarn for all of my pompom projects and I haven’t had any issues with the quality of the yarn so I’d definitely recommend them as the place to go. 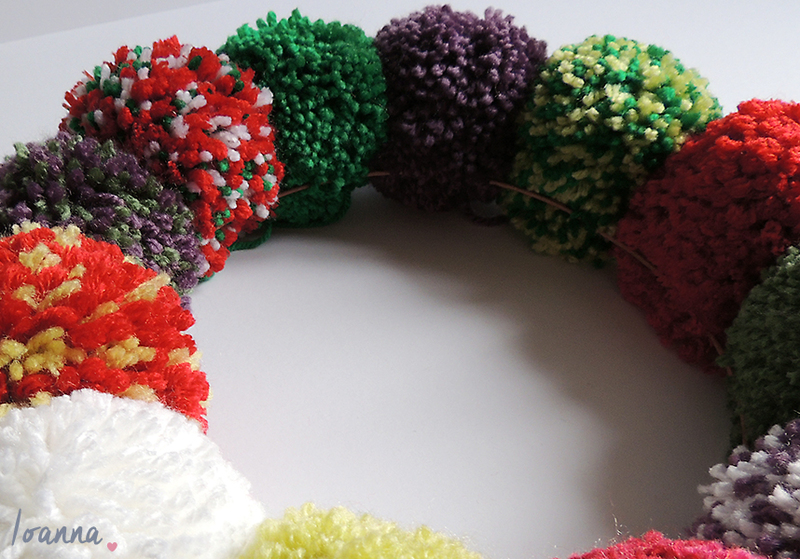 This wreath fitted 12 medium sized pom poms, I made some single and some double or triple coloured pompoms to add an extra touch of fun (for multicoloured pompoms just wind 2 or more colours of yarn together at the same time). I attached the pompoms to the wire wreath frame by simply tieing them. 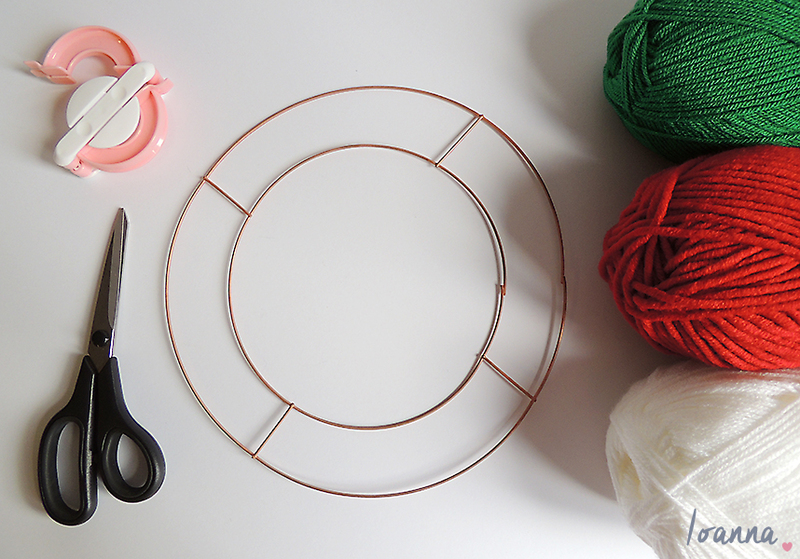 Instead of a wire wreath frame I have seen that you can cut out a large doughnut shape out of card as the base for your wreath and then create holes to thread the pompoms through or glue them down with a hot glue gun or glue stick which I think would work just as well. I haven’t hung my pompom wreath up yet but as soon as we reach December I’ll share a photo of it up on my door :) I’m getting so excited for Christmas already. What Christmas crafts do you have planned? 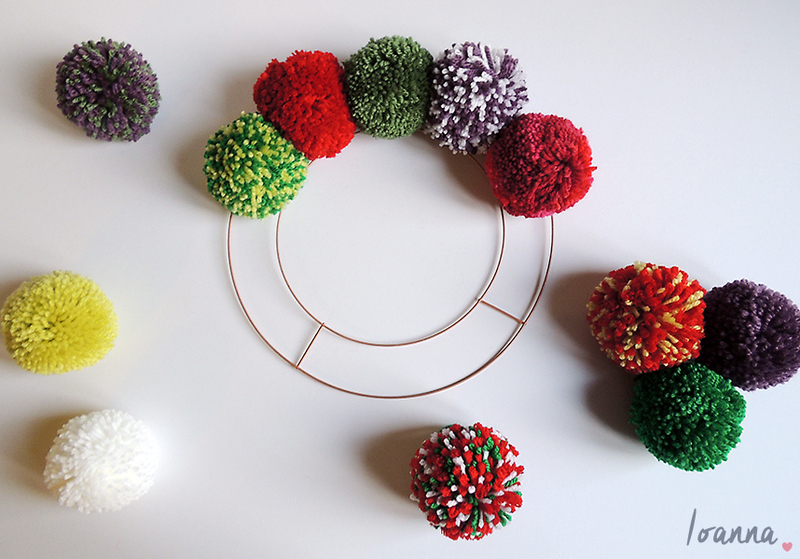 Will you be making anything with pompoms?